Ivan Cooper brings decades of experience to his appellate law practice. When clients need a seasoned appellate lawyer, they come to Ivan. During the course of his 20+ years of practicing law, he has focused on written and appellate advocacy in both state and federal courts. Ivan is a true ally for those who want an appeals court to take a second look at the outcome of their trial. Ivan is often retained after a verdict to work on post-trial motions and appeals in cases handled at the trial level by other firms. Ivan is admitted to practice in both Alabama and Texas, as well as before the U.S. Supreme Court, the U.S. Court of Appeals for the 11th Circuit and the U.S. Court of Appeals for the 5th Circuit. 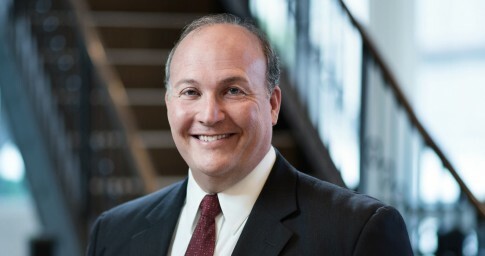 In addition to appellate work, he also provides pre-trial and trial support in a wide array of cases, ranging from complex commercial disputes to personal injury, and assists members of the firm’s NCAA Compliance and Investigations practice group. Dedicated to advancing the practice of appellate law, Ivan was appointed to the task force that formed the Appellate Practice Section of the Alabama State Bar and has served as its secretary, vice chair and chair. He has served on the Planning Committee for the 11th Circuit's Appellate Practice Institute since its inception and chaired its 2010 seminar event. Ivan and his wife have two children. Because he is from Tuscaloosa, Alabama, it's no surprise that he is an avid follower of college football. Representing a business owner in the appeal of a $12 million judgment in favor of a subcontractor that was injured on the job. The Alabama Supreme Court reversed and rendered judgment in favor of the client. Representing a client in a mandamus petition to the Alabama Supreme Court challenging the order of the trial court that directed the client to dismiss a federal lawsuit. The Alabama Supreme Court granted the petition and vacated the trial court’s order. Representing a funeral home for the appeal of a $3 million jury verdict in favor of the plaintiff. The Alabama Supreme Court reversed the judgment and ordered a new trial.